The University of Kent describes Public Engagement as the many ways it connects research activities to the general public ranging from public talks and exhibitions to press and social media activities. CHSS has a long history of engaging the public in its research and activities and is keen to continue this important work. CHSS is committed to communicating its research in a variety of ways, for example through talks, the press, the CHSS newsletter and social media. These activities are part of the Universitys wider Public Engagement (Research) strategy. In addition to informing the public about our research, we also involve patients and the public in its design, development and management. Rather than being study participants, people who are the potential ‘end users’ feed into the research process itself. In this way research is carried out ‘with’ or ‘by’ members of the public rather than ‘to’, ‘about’ or ‘for’ them. 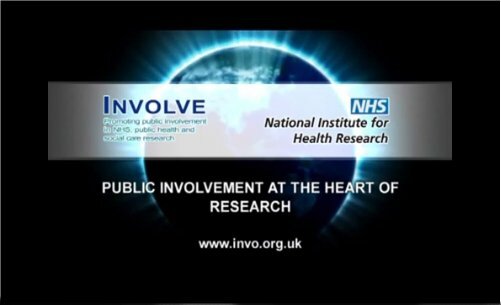 For further information on PPI, please visit the INVOLVE website INVOLVE is funded by the government to support PPI in the NHS, public health and social care research at a national level. The public, as per the guidance from the National Co-ordinating Centre for Public Engagement (NCCPE), and from INVOLVE refers to everyone although it is important to consider the type of group involved in engagement and involvement activities, e.g. In order to continually improve the links between research, policy and practice, CHSS collaborates with a wide range of partners, service users, patients, professionals and policy-makers in health and social care in Kent, the UK and in other countries. People with direct experience of a condition or a service (whether a patient or carer) can offer a wealth of expertise and knowledge to researchers and clinicians working in health research. This expertise is invaluable in terms of helping to shape research which is relevant to those who will potentially benefit most from the research; the end users.